Sometimes when you are tired of sleeping in a van, you will want to spend some money on a proper bed hahaha. 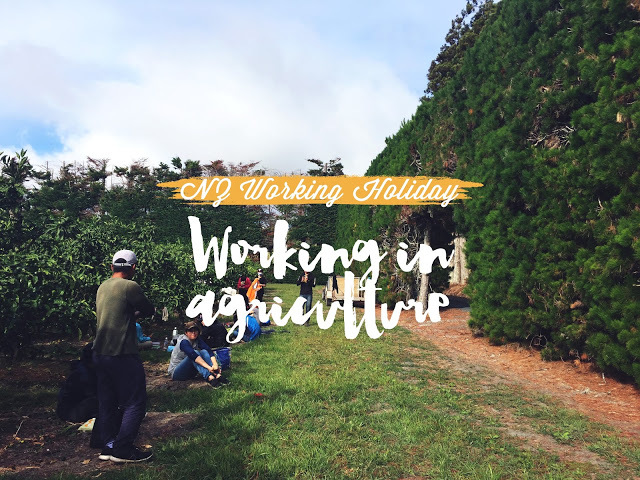 I did a month’s roadtrip in a humble campervan, slept in campgrounds, weird places like a museum’s carpark (Story for another time) and it could get a little hard at times especially during winter. 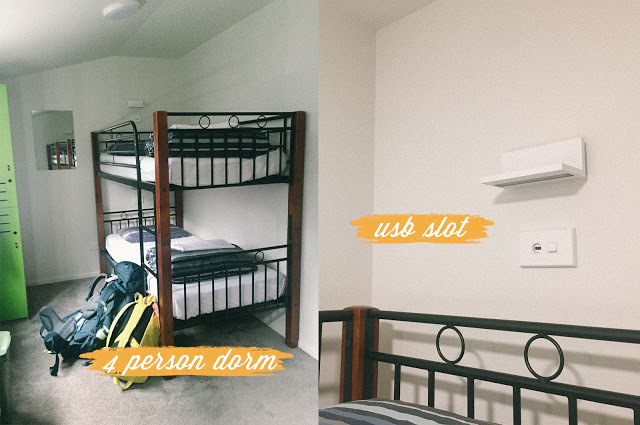 Hence, staying in hostels will be a great break from the camping life, where you get to be under a duvet, springy mattress, hot shower, and a full fledged kitchen to cook your meals. 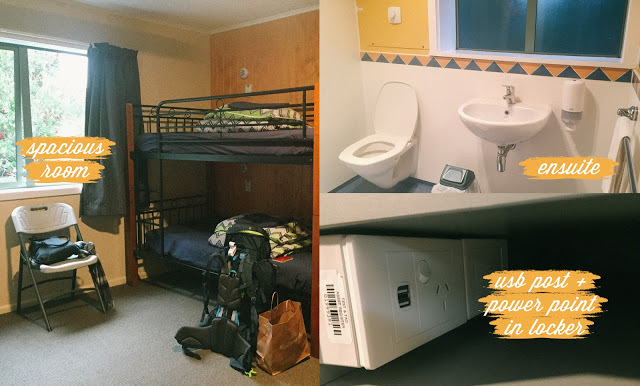 I always liked staying in hostels under Hosteling International, as I do not have to worry about the cleanliness, noise, and rowdy people as every hostel under them has a certain quality to meet. 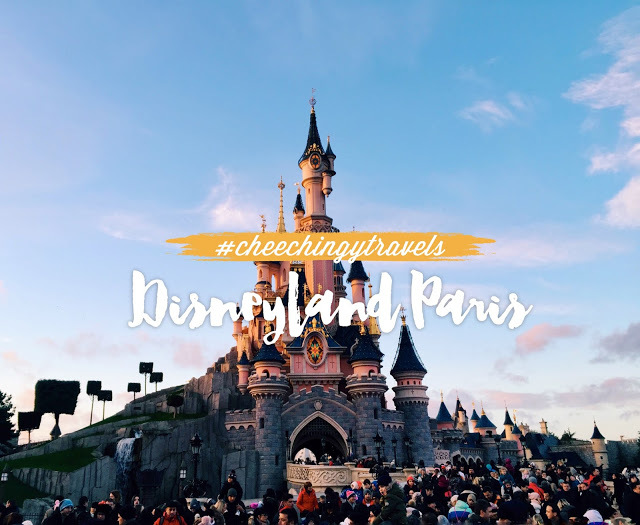 Most of my trips I’ve always booked under them even when I’m not sponsored, and one of the best hostels for me was in Utretch and Paris during my Europe trip last year. 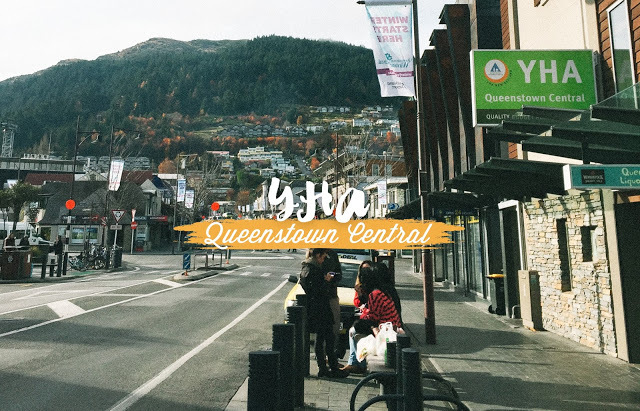 In Queenstown, there are two hostels, one in town and YHA Lakefront which is a 10 minutes walk to town center. 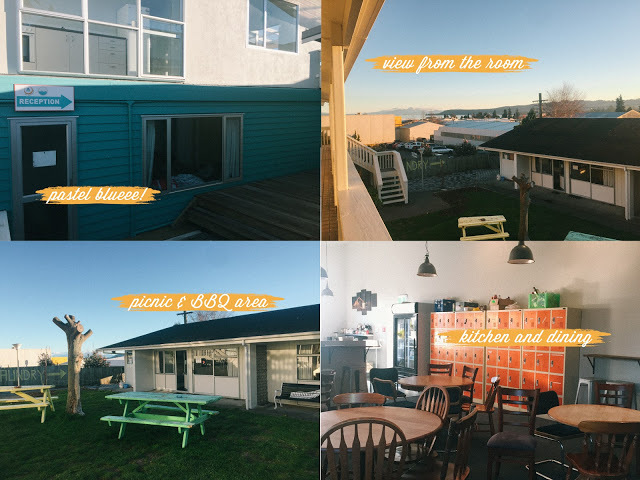 On the second floor, you get a huge kitchen, with plenty of dining spaces, and also a bar top to look at the lake while you feed yourself. There are also complimentary spices like salt, pepper, herbs and chili flakes! 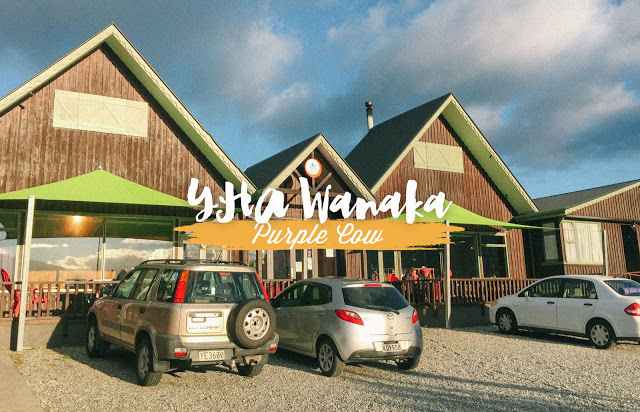 The name of the hostel really reflects its location, located between Shotover Street and Lakefront, and surrounded by liquor store, and bars (ahem), cafes, restaurants, shops like Kathmandu, UGG and many more. It’s good because it’s near to everything, but it’s bad if you are in a budget hahaha cause you will definitely want to spend (I think I have a tiny shopaholic syndrome in me) some money like me. Every room here comes with ensuite bathroom, TV, wardrobe a small coffee table and dressing table. 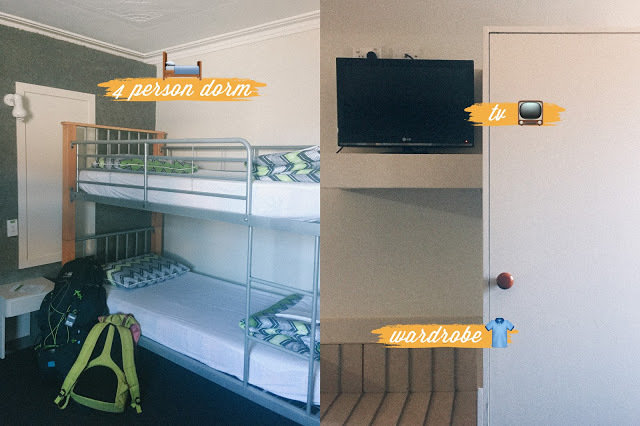 I was given a 4 person dorm room, and although the interior is a little bit old as it was refurbished from an old hotel, it is still well maintained. 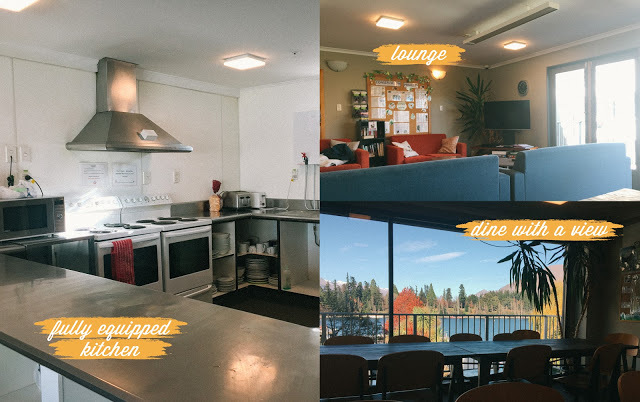 Because it’s such a huge hostel with many rooms, the kitchen, lounge and dining area is all in one space, overlooking the lake. I was a little sad because of the size of the common area, but it’s adequate. The kitchen is fully equipped, it has long tables to dine on, and comfortable couches with a TV and boardgames. Ah, how do I even began. I love this place so much it almost felt like home. 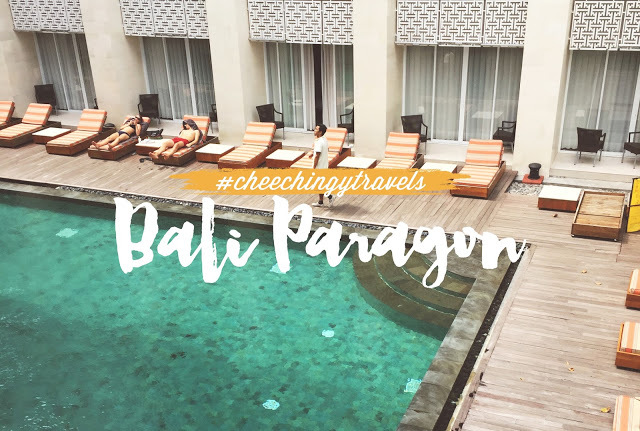 Not sure if it’s because I spent the most time here, but I felt really comfortable and really enjoyed my stay. 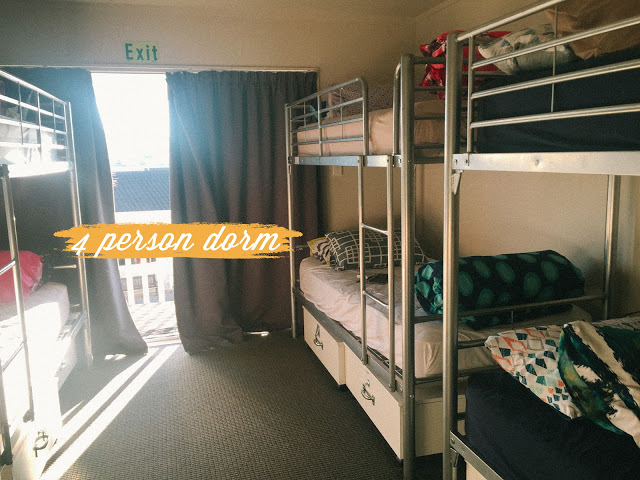 Room was spacious with ensuite and central heating, a huge locker for your belongings, with plenty of room to walk and put your stuff. There are also additional blankets available in the room for the cold, winter months. 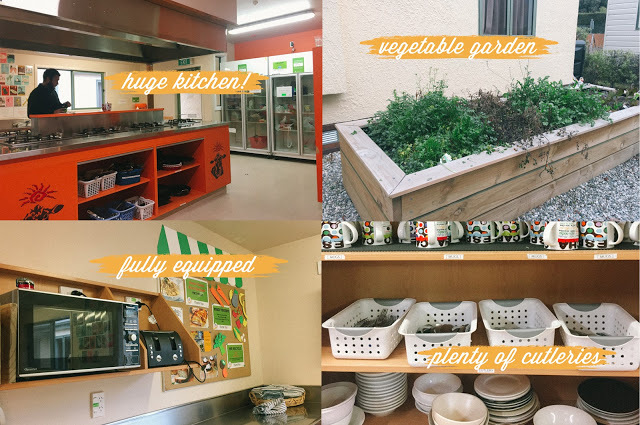 The kitchen is huge with adequate cooking hobs, fully equipped with the things you need (Even a toastie maker) and you can get free vegetables and fresh herbs outside. 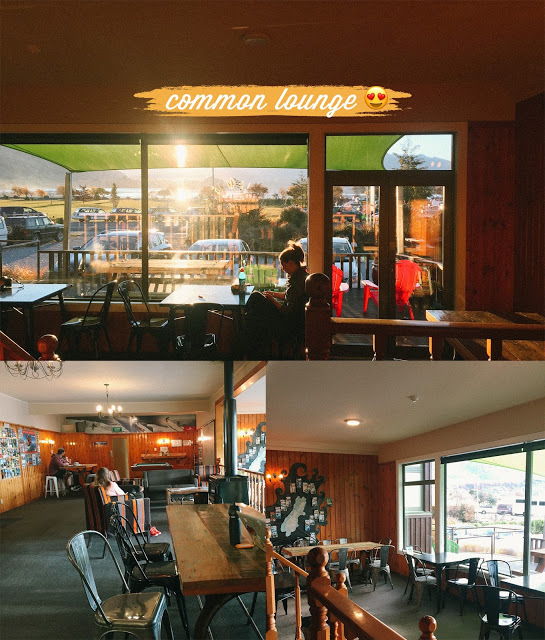 However, what I liked most about this hostel is the common lounge, where you are greeted with Lake Wanaka and the Southern Alps. 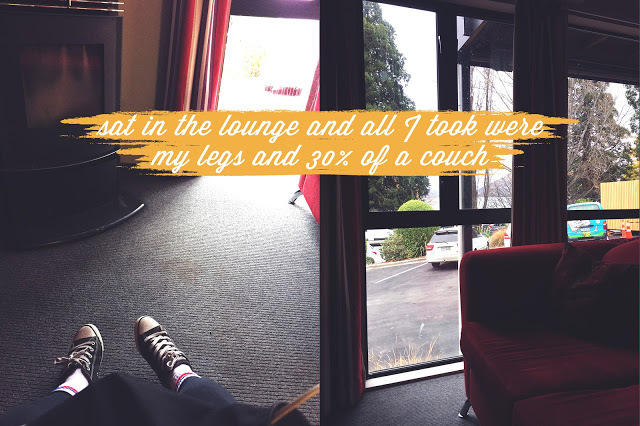 The lounge is opened whole day, with the fireplace constantly going on, perfect for the cold winter days heh. Am I being biased here? I think it doesn’t have a bad for me. The logo made me like the hostel the moment I saw it haha. They even gave me a sticker for my laptop. #gotbribed Located near town center, the hostel carries a pastel blue color throughout the building, interior and even the tables. 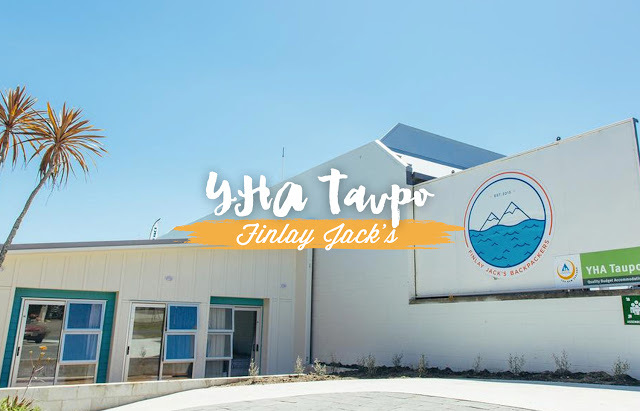 Finlay Jack’s has a huge outdoorsy area, with pretty picnic tables, grass and hammocks for you to laze around. The weather was perfect when I was there and you get to see Lake Taupo if you’re on the second floor. YHA’s kitchen are always fully equipped and Finlay Jack’s is no exception. I didn’t manage to see the lounge but it has a public toilet (So you don’t have to run back to your room), DVDs, XBox and books! 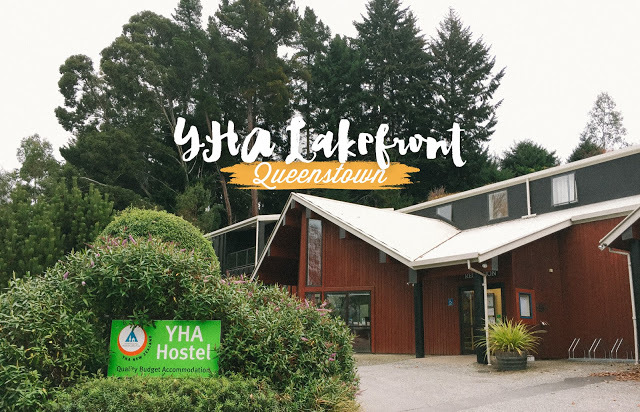 Was a pity that I didn’t snap enough photos of YHA Nelson that I’ve stayed for a night, but looking forward to head back to New Zealand in the next few years! 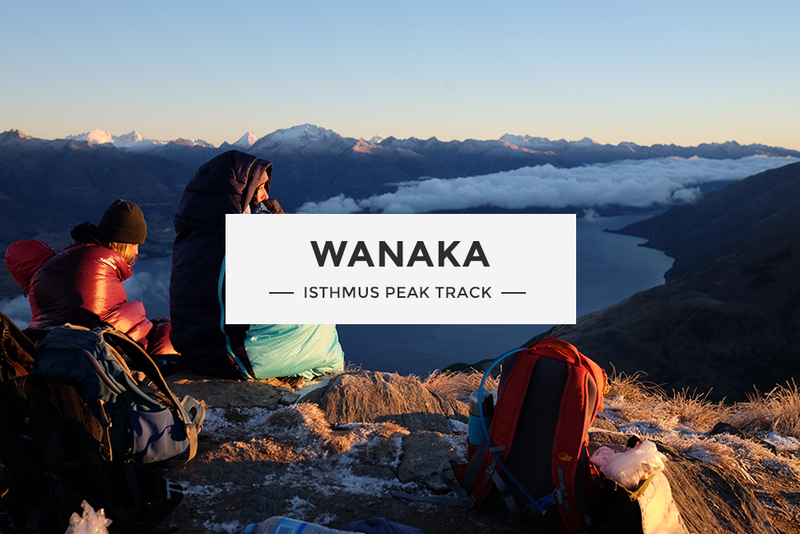 🙂 Tongariro Crossing, wait for me! 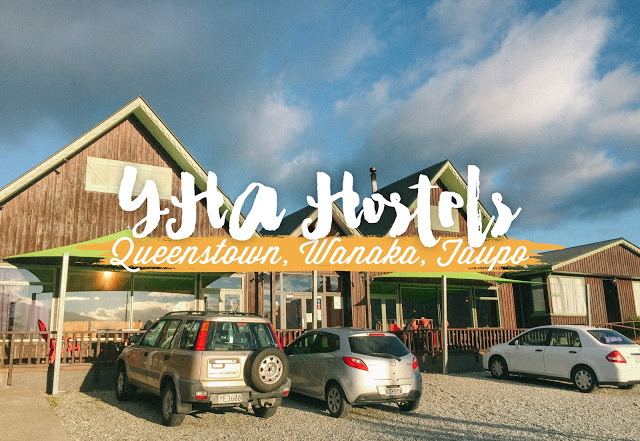 I also love that YHA in Wanaka too! I could stay there forever haha. 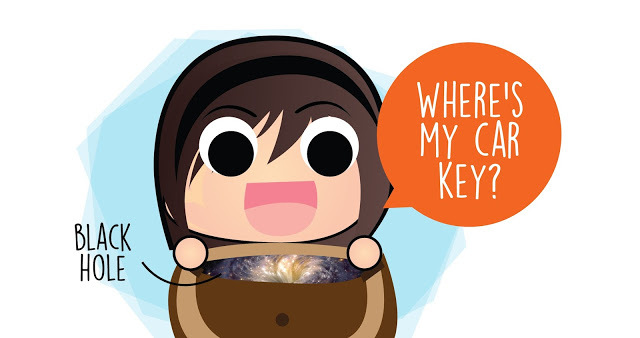 This is so helpful and tempting. Gonna do it with my two boys one day.